In a new move to strengthen a stand in the pharmaceutical industry, The widely disruptive Amazon has now acquired 5 year old Pharmacy startup PillPack which provides an online system which assists people take timely medication for almost $1 Billion. This acquisition comes after several recent reports that Amazon's major e-commerce competitor Walmart was looking to acquire the startup for around the same price. 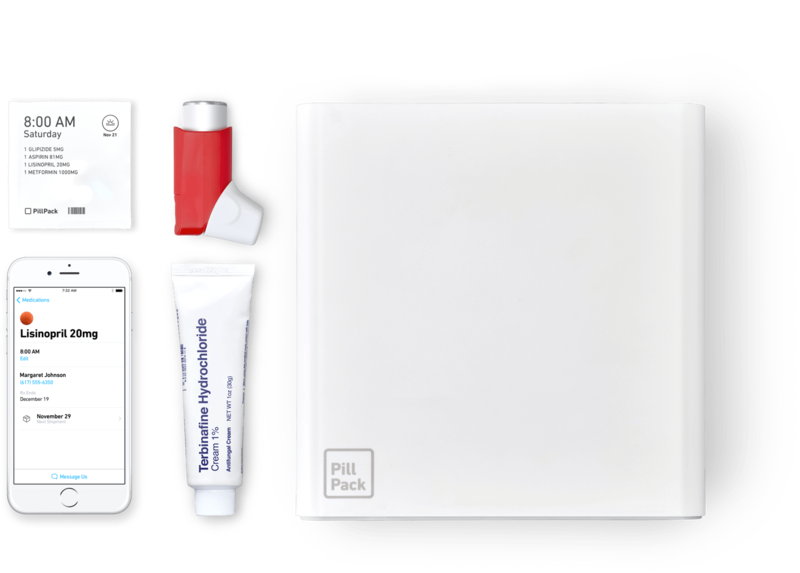 PillPack has raised over $120 million from several investors including Accel, Menlo Ventures, Sherpa Capital, TechStars, CRV and other investors prior to this acquisition with the startup being last valued at $361 million according to PitchBook which makes this acquisition a very big win for the company's investors and other shareholders alike. This deal now marks Amazon's most notable move currently to signal its entry into the healthcare market as the company has long been earmarked and predicted to make moves and be a major player in the healthcare industry through the merging of technology. PillPack is currently based out of Boston with licenses to issue pharmacy prescribed drugs across 49 states in the U.S. and has been growing at a fast rate since its start January 2013. Amazon is now making huge moves to cement a space in the U.S. healthcare industry in a very competitive market that will see the company go head-on-head with the likes of Walgreens, CVS Health, Cardinal Health, McKesson and other major healthcare companies and distributors. This move has sent the stocks of several major healthcare companies down for a while as investors speculate the future of the healthcare industry for these companies in the presence of very disruptive technology.